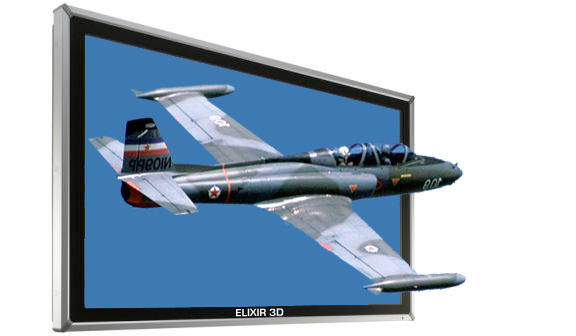 MISSION: 3D flat screen monitor technology WITHOUT GLASSES (autostereoscopic 3D) is being deployed widely by Elixir 3D™ in high traffic venues. Our technology is ideal for airport terminals, themed attractions, super markets, sports and entertainment stadiums, high volume convenience restaurants, Las Vegas and Atlantic City, as well as numerous other venues taking advantage of current and future ad revenues, on screen sizes ranging from 23 to 55 inches. 3D record setter “Avatar” at $2.8 bil gross and 2013's "Gravity" grossing $680 million to date are some of the huge successes of Hollywood's reentry to 3D. Over the past few years TV manufacturers, the electronic giants, have unveiled 3D TV where glasses are required for each viewer! The existing stream of advertising revenue developed through Digital Out-Of-Home advertising ("DOOH"), a sector of advertising growing at double digit rates globally, will be vastly enhanced through the eye-grabbing experience of 3D presented without the need for glasses to view. Research published in the Journal of Advertising from multiple studies compiled by major Midwestern universities, of “the virtual experience,” support the proposition that 3D advertising enhances presence, influences product knowledge, brand attitude, and purchase intention of consumers, clearly establishing that the target audience, the passerby, is 30% more likely to engage with a 3D ad. Immediately acknowledging the consumer trend Madison Avenue's advertising agencies have begun ordering commercials produced in 3D. Current content conversion from 2D to 3D cannot meet the growing demand. India’s Reliance Media Works has 2,500 production personnel working to convert everything from Hollywood tent-poles (a motion picture with a strong enough expectation at the box office that studios and distributors will hedge their bet on the rest of their annual release schedule) to the conversion of television documentaries and library titles. Mumbai-headquartered Prime Focus' post-production charges $50,000 to $100,000 per minute of conversion. And announced at NAB's convention in Las Vegas, JVC launched a stereo image processor that automatically converts 2D content to 3D, available for purchase for $30,000. From the Las Vegas CES PC World: "...None of these TV manufacturers (the giants) gave even the slightest inkling that they'd be releasing a commercially available (glassless) model, even for business-oriented digital signage purposes. 'That's because they're simply not ready.' In addition to the limited viewing range and angle problems mentioned, the unfortunate fact is that the actual depth of the 3D effect in these (Toshiba, LG, Sony) autostereoscopic TVs is, frankly, disappointing." Read the full article. While this frenzy is consuming the globe Elixir 3D is marketing its monitors, small to large, to a multimedia world with the first ever solution to the GLASSES problem plaguing the digital signage industry: No Glasses Required for viewing and with tremendous 3D depth and pop. 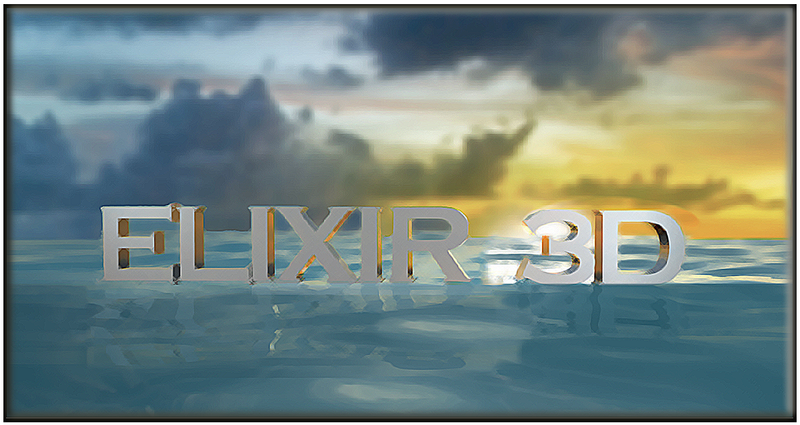 Copyright 2013 Elixir 3D, LLC. All Rights Reserved.